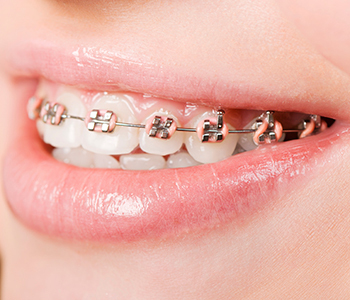 Orthodontic care has been practiced since the 19th century. Although technology and the methods of treatment have changed over time, the reasons for straightening teeth have not changed. Straight teeth are healthy teeth. Patients searching for orthodontic care have turned to Drs. Pita Dhaliwal and Kevin O’Shea of Aberdeen Dental in Vernon, BC. The need for orthodontic treatment goes beyond wanting straighter teeth. There are many health benefits as well. Ineffective cleaning is associated with crooked or crowded teeth. Straighter teeth are easier to brush and floss. ensuring better removal of the bacteria that causes plaque and tartar. Good hygiene keeps teeth healthy and strong. Left unattended, chewing and digestion issues can arise due to problems with bite and misaligned teeth. Orthodontic care helps put teeth in better alignment, corrects bite problems, and relieves stress on the jaw. When chewing and eating occur more naturally, digestive problems can be avoided. Proper tooth alignment minimizes the abnormal wear of tooth surfaces and speech impediments as well. When teeth are crooked, crowded, or out of alignment, it causes stress to other areas of the mouth. Untreated, this can affect the gum tissue, supporting bone structure, and jaw joints, which can lead to problems such as headaches or neck pain. Correcting dental problems is not just about teeth. When there are problems with the teeth, mouth, gums and supporting structures, your overall health can be adversely affected. It is important to address these issues early to protect your dental and medical health. If you are searching for orthodontic care, contact Aberdeen Dental in Vernon, BC. Drs. Pita Dhaliwal and Kevin O’Shea are proud to offer orthodontic services such as Invisalign and Fastbraces. Schedule your consultation. Call us at (250) 545 3319 today.